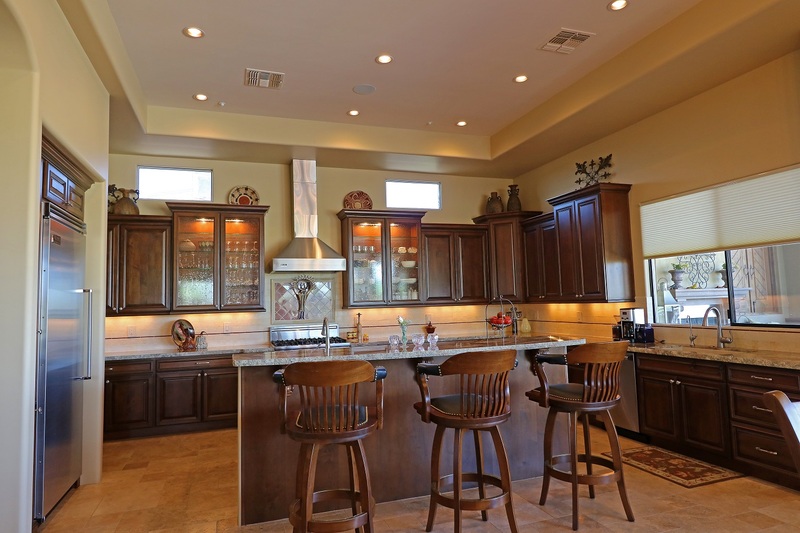 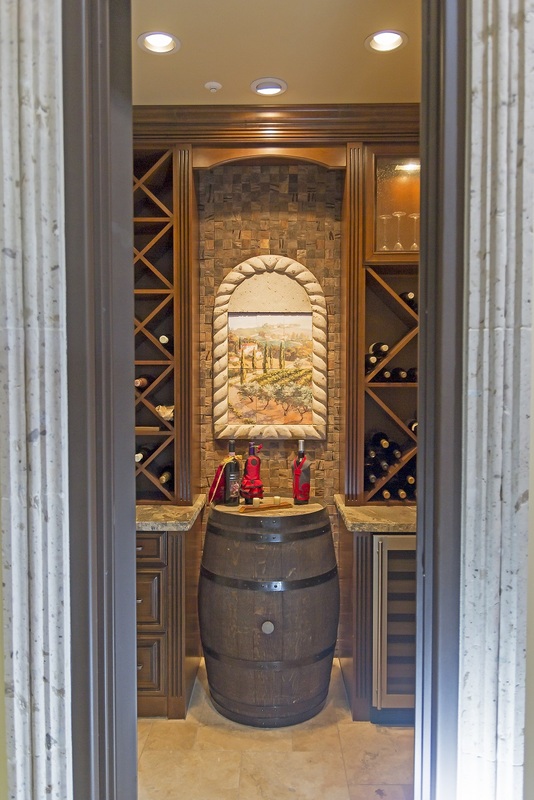 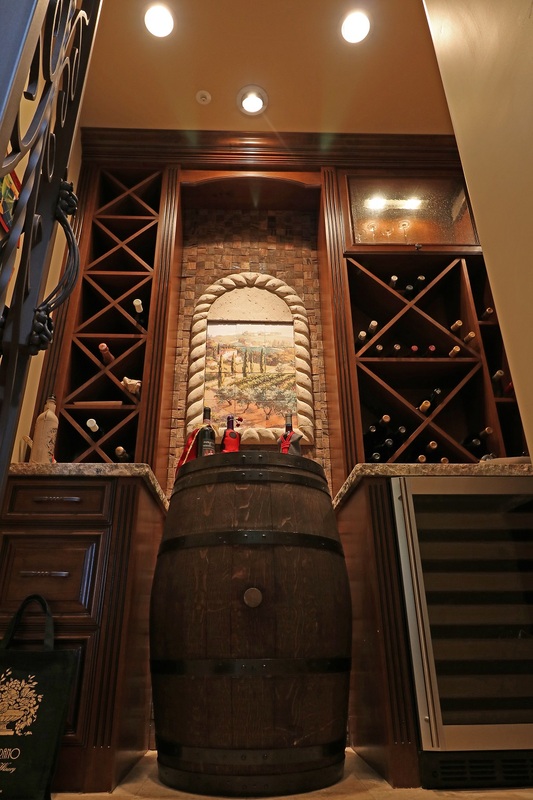 The standout of this project is the luxury wine room. 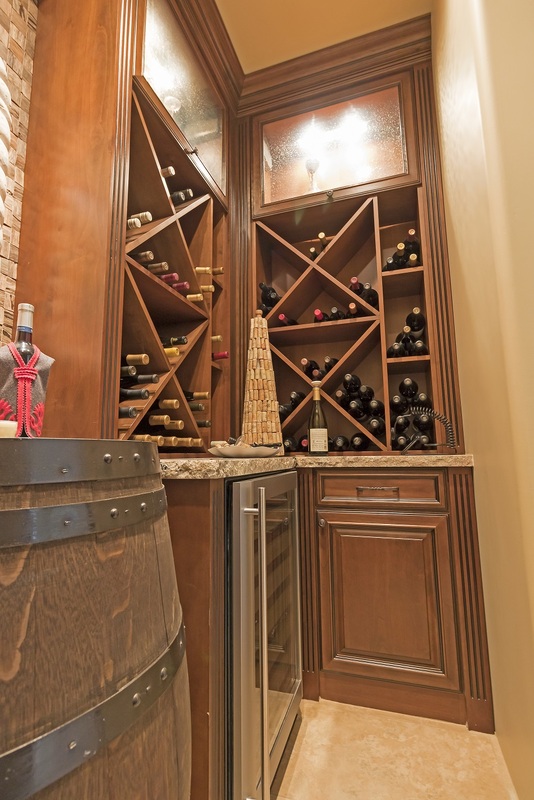 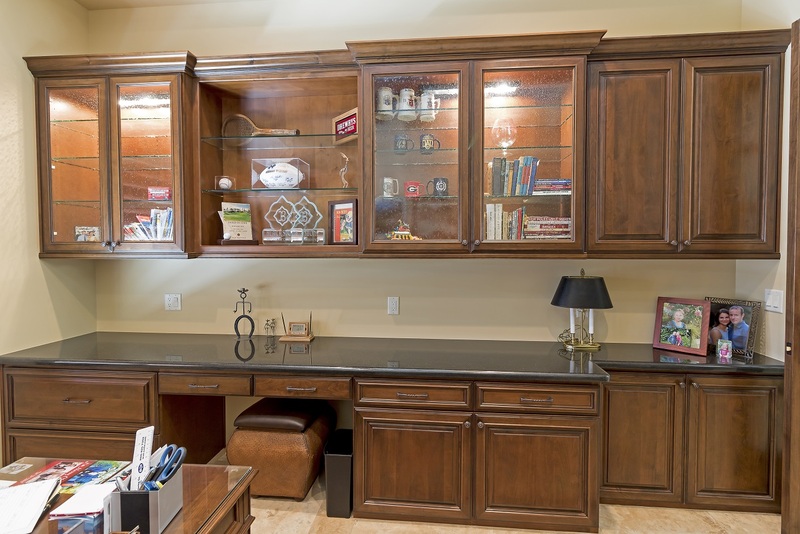 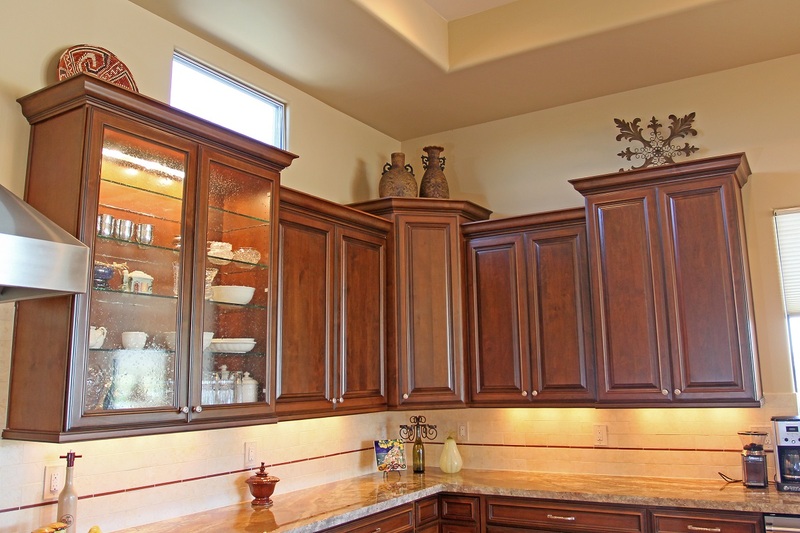 It was a challenging small space, but the cabinets have flip up doors, multiple storage options for wine bottles and wine accessories. 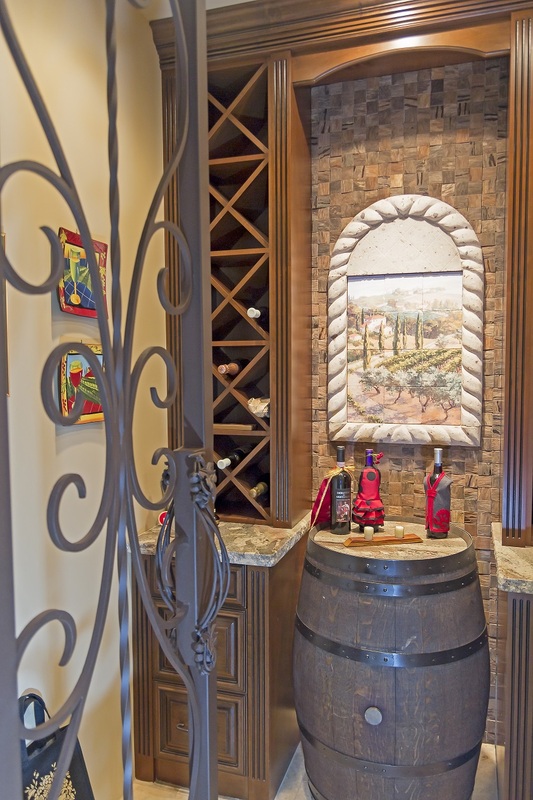 The Homeowner’s wine barrel was included in the design.